The evening reception and lecture will be held at the elegant Belo Mansion. Cocktail reception begins at 6:00 pm, lecture at 6:30. Cash bar available. What ties together saving the environment, elevating the lives of the world’s poor, and the Grateful Dead? Answer: Professor Daniel Nocera. A brilliant inventor and teacher driven to create real solutions to the world’s pressing need for sustainable and distributed energy production - and guided by the “open-source” mores of the Grateful Dead community he traveled in during his youth - Professor Nocera is the inventor of the Artificial Leaf and Bionic Leaf. Consistent with their name, these unique technologies use simply sunlight, air and water to make sustainable fuel as well as fertilization systems. These science discoveries set the stage for a storage mechanism for the large scale, distributed deployment of solar energy and distributed food production. They are thus are particularly useful to the poor of the world, where large infrastructures for fuel and food production are not tenable. Great technologies can only do great things if deployed, which is where the Grateful Dead comes in. As he saw when traveling with the Grateful Dead for 4 years (starting at age 14), Deadhead fans taped the shows and the band were fine with these bootlegged recordings, and the band only grew in popularity and influence. Other bands weren’t doing this at the time. Supported by Harvard, he decided to take a similar ethos with his intellectual property to allow quick and robust prototyping and deployment of the Artificial Leaf and Bionic Leaf. This has lead to partnerships such as with the Institute of Chemical Technology in India. Please join us to meet Professor Nocera, once named in Time Magazine’s 100 Most Influential People list, to learn about these fascinating technologies and unique research/business model. 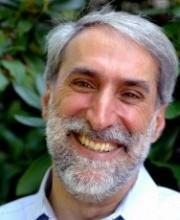 Daniel G. Nocera is the Patterson Rockwood Professor of Energy at Harvard University. He is widely recognized in the world as a leading researcher in renewable energy. His research has received numerous awards, including a Time Magazine Innovation of the Year and the World Economic Forum Breakthrough Technology for 2017. He is a member of the American Academy of Arts and Sciences, the U.S. National Academy of Sciences and the Indian Academy of Sciences. He was named in the 100 Most Influential People in the World by Time Magazine and was 11th on the New Statesman’s list on the same topic, and he is a frequent guest on TV and radio and is regularly featured in print. Before joining Harvard, Nocera began his career as a Distinguished Professor at Michigan State University. In 1997 he joined the faculty of MIT where he was the Henry Dreyfus Professor of Energy. He earned his B.S. degree at Rutgers University and his Ph.D. at Caltech. He has founded several companies, including Sun Catalytix, a company committed to developing energy storage for the wide-spread implementation of renewable energy. In August 2014, Lockheed Martin purchased the assets of Sun Catalytix, and now Sun Catalytix technology is being commercialized under the venture Lockheed Martin GridStar™ Flow. A second company, Kula Bio, was founded by Nocera in 2018 to focus on the development of renewable and distributed crop fertilization and land restoration. We extend a special welcome to the Greensource DFW Community as well as members of the MIT Alumni Club, and the other Ivy League + university clubs in Dallas. Click here to buy tickets!!! If you have issues purchasing tickets on the website or prefer to purchase tickets over the phone, please call 469-431-1436.